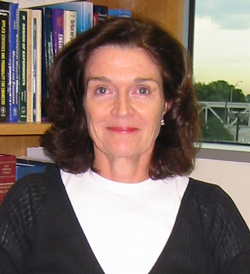 Sara J. Czaja, Ph.D., receives $9 million in NIH funding to continue CREATE research. UM Researcher Receives $9 Million NIH Grant Sara J. Czaja, Ph.D., professor of psychiatry and behavioral sciences and co-director of the Center on Aging at the Miller School, has received renewed funding of $9 million over five years from the National Institute on Aging for the Center for Research and Education on Aging and Technology Enhancement (CREATE). The renewal marks the eleventh straight year of grant funding from the National Institutes of Health and has resulted in CREATE I, CREATE II and now CREATE III. A multi-site center, CREATE is a collaborative effort between the Miller School, UM's College of Engineering, Georgia Institute of Technology and Florida State University to help older people adapt to the information age. Dr. Czaja also has a secondary appointment in UM's Department of Industrial Engineering. Given the increased use of computers and other technology, an overriding societal concern has been how well older people adapt to rapid developments in technology, now essential to living independently. The original goal of CREATE I was to design a multidisciplinary center of research and education to assess factors that affect successful adoption of technology by older adults and to examine issues associated with technology training and interface design. CREATE II emphasized technology applications in the workplace, in health care and at home to facilitate safety and security, as well as everyday tasks. CREATE III will continue to focus on applications of technology in the home, workplace settings and the health care arena, with an emphasis on translational research and collaborations with the community and business/industry. "During the next years our research team at UM will be examining issues associated with telemedicine applications, patient portals of electronic medical records, telework and technology training," said Dr. Czaja, principal investigator of CREATE. "We will be looking at some cutting-edge issues related to aging, technology, health care and employment." Joseph Sharit, Ph.D., research professor in the Department of Industrial Engineering, is one of CREATE's lead researchers at UM. Dr. Sharit concurs with Dr. Czaja regarding the innovation and timeliness of the CREATE research projects. "Our research is addressing two concerns -- health care and work -- that are particularly relevant to older adults," said Dr. Sharit. "The planned projects build on our past research, incorporate both experimental and field research protocols and take CREATE to the next level, examining tasks that are critical to independence in community settings." The research conducted at CREATE is aimed at helping community agencies, service providers and system designers maximize the usefulness of new technologies for older adult populations. CREATE investigators believe that well-designed technology can play an integral role in promoting independence and quality of life among older people. Thursday, September 30, 2010 8 a.m. Otolaryngology Grand Rounds: “An Electrophysiological Intra-Operative Monitoring of Hearing During Ossiculoplasty"
Thursday, September 30, 2010 8 a.m. Neurological Surgery Grand Rounds: “Advances and Controversies in the Management of Pituitary Tumors"
Friday, October 1, 2010 1 p.m. Neurology Grand Rounds: “Assessment of Rapidly Progressive Dementia and Early Diagnosis of Prion Disease"
Thursday, October 7, 2010 1 p.m. Endocrinology, Diabetes and Metabolism Grand Rounds: “Molecular Regulation of RAGE: Implications for Diabetes and Beyond"
Friday, October 8, 2010 2 p.m. Neurology Clinicopathological Conference: “A 61-Year-Old Male with Acute Onset Facial Diplegia, Diplopia and Dysphagia"
Wednesday, October 20, 2010 12 p.m. Epidemiology and Public Health Grand Rounds: “A Randomized Controlled Trial of Structural Ecosystems Therapy for HIV+ Women in Drug Recovery and Their Families"
Wednesday, October 20, 2010 12 p.m. Psychiatry Grand Rounds: “Developmental Factors Underlying the Risk to Develop Anxiety and Depression"
Thursday, October 21, 2010 7 a.m. Orthopaedic Grand Rounds: “The Biomechanical Rationale for Interosseous Ligament Reconstruction in Essex-Lopresti Injuries"
Wednesday, October 27, 2010 8 a.m. Family Medicine and Community Health Grand Rounds: “Promoting Smoking Cessation: Role of the Physician"